The novel was published back in 2000 and was almost immediately pushed to the big screen, but everything fell through. Now, the execs are giving it the ol’ college try again. The book is set in the near future, when the U.S. exists as a patchwork of corporate-franchise city-states, and private enterprise and the mafia control everything. 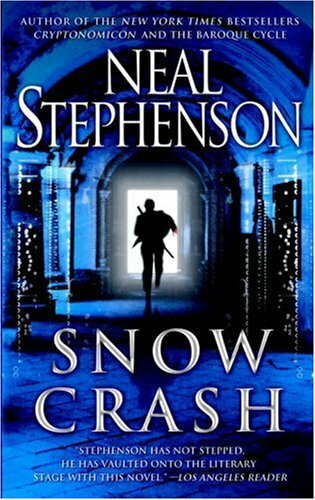 The plot involves a computer virus that is manifested as a drug called Snow Crash that is transmitted visually from computer screens to unsuspecting users, frying their brains. Hiro Protagonist – that’s the character’s name – a computer hacker/samurai swordsman/pizza delivery driver who investigates and tries to stop the takeover of postmodern civilization according to Deadline. I have complete faith in Cornish. His ‘Attack the Block’ was AWESOME. So far, he can’t do any wrong. This entry was posted on Thursday, June 14th, 2012 at 7:08 pm	and is filed under Film, News. You can follow any responses to this entry through the RSS 2.0 feed. You can skip to the end and leave a response. Pinging is currently not allowed. « Bryan Reviews ‘Rock Of Ages’!! !